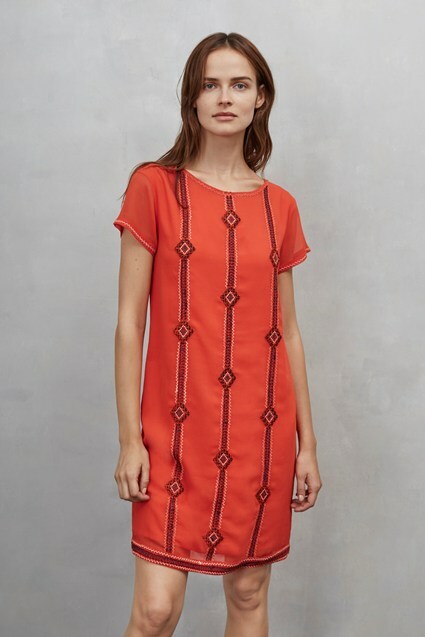 Shift into the new season with this jersey-jacquard Ula Stitch shift dress. It comes in a monochrome colour palette with flecks of gold, ideal for the daytime or night-time. Slip over opaque tights once the weather cools.